The Woodlands offers some unique opportunities that you won’t always find in other Shearwater neighborhoods. Homes by D.S. Ware and Drees Homes are situated on some of the largest lots in Shearwater, so you’ll have plenty of space for that three-car garage or extra bedroom. Many homes in the Woodlands also don’t have backyard neighbors, and instead feature beautiful nature preserve and lake views that can make it feel as though you have the whole world to yourself. Come visit the Woodlands to experience the benefits and unique features of this neighborhood for yourself. 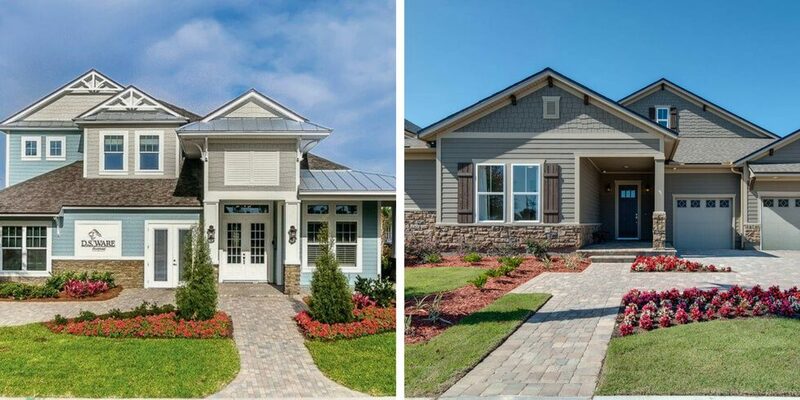 The Woodlands model homes are open for tours seven days a week. Visit D.S. Ware Monday – Saturday from 10am – 5:30pm and Sundays from 12pm – 5pm, and Drees Homes Monday – Thursday and Saturdays from 10am – 6pm or Friday and Sunday from 12pm – 6pm. Click here for directions.